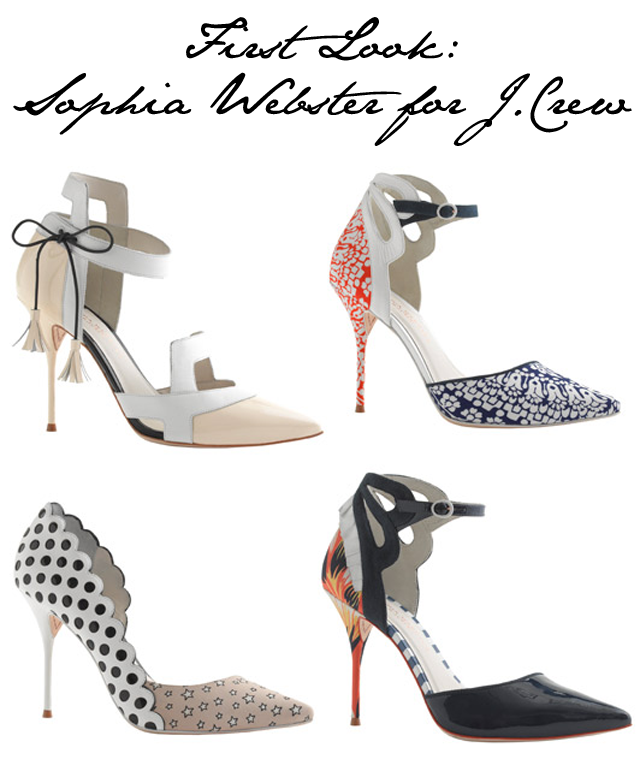 There is truly no end in sight for the beautiful and talented Sophia Webster. Her shoes are some of the most coveted in the marketplace now in the UK and her name is about to reach epic levels of awareness in the United States with the release her latest collaboration. Webster is partnering with J.Crew to release a special line of shoes for the retailer. This was, of course, announced back in September when J.Crew showcased their collections for press. However, it is only now, just weeks before then collection hits stores, that J.Crew is sharing the images with the public. The Telegraph were the first to run the story, including images of the collection as a whole, with prices. Surprisingly, the high street collaboration is seeing no markdown from Sophia's traditional price point. Courts will retail from £240 and the most expensive pair of sandals is £540. Certainly not cheap, but can you really place a price tag on footwear perfection?